Most people have fillings of one sort or another but today, because we are much more conscious of our smile, we can choose a natural looking alternative, the composite or tooth-coloured filling. Composite fillings are more difficult to place than silver fillings so may take your dentist 15-20 minutes longer to complete and because they are considered to be a cosmetic treatment, they are not available on the NHS for posterier teeth and must be paid for privately. Dental crowns are used to repair and protect damaged or weak teeth. 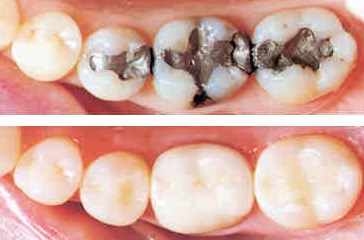 A crown will often be recommended where there is too much damage that can be repaired by a simple filling or inlay. The weak or damaged part of the tooth is carefully removed and covered with the crown, which is bonded to the remaining tooth. The result is strong and hard-wearing. 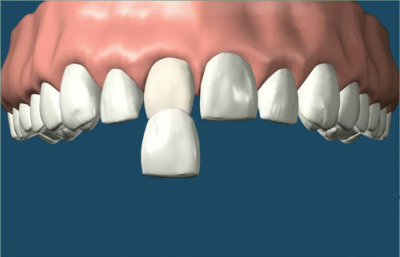 A bridge is used to replace a missing tooth with a fixed solution. 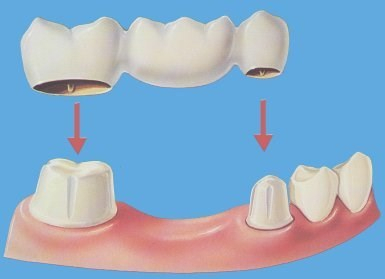 There are several types of bridges but the most common is by crowning the teeth either side of the gap and joining them together with a solid crown in the space. Fewer bridges are made these days because of the advantages of implants but in some instances they may be the preferred option. Veneers are a thin layer of tooth coloured material, usually made of porcelain and individually made to fit over the front surface of a tooth.